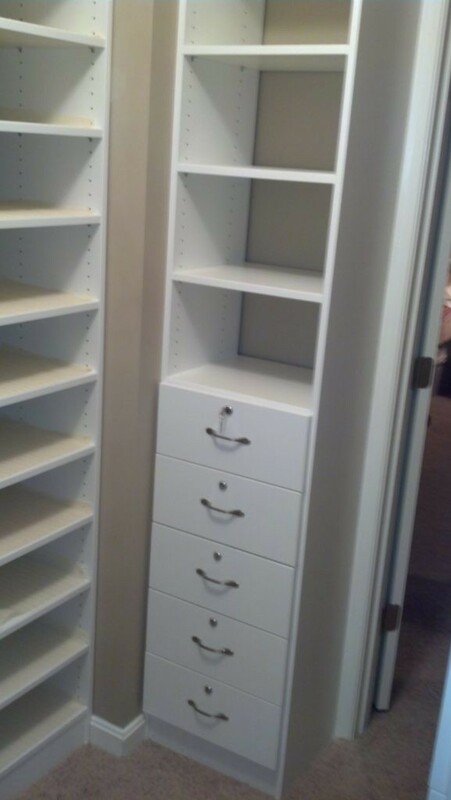 Drawers and shelves for narrow spaces by Just Closets of Northern Virginia. We are your custom closet design experts. Attention to details.